Do Consumers Want Self-Driving Cars? Over the years, lots of products have been successfully marketed to consumers who didn’t understand them, didn’t think they needed them, and just plain didn’t want them. Who needed cable TV, for example, when an antenna on the top of a TV set worked just fine? Similar stories can be told about satellite radio, LED lights, streaming video, and the cloud. Yet those technologies became dominant as soon as consumers experienced and accepted them – often, after a period of resistance. It seems inevitable that the acceptance of self-driving technologies follow a similar course from “I don’t want it,” to “I can’t live without it.” But how will that story unfold? Gamivation™, Morspace and SPD recently spent more than 1,000 hours studying consumer attitudes toward autonomous cars, aiming to answer the underlying question, “What do consumers need and value from autonomy.” The three sponsors arrived at these “coherent answers” to that question. The study interviewed 400 owners of vehicles equipped with assisted-driving features and found that nearly half of them “regularly disable” one or more of them. How will that resistance be overcome? The researchers concluded that before introducing higher levels of self-driving autonomy, car makers should conduct more research to determine where and how drivers are using the systems that are currently available. Interviews with drivers and 40 car dealers showed that neither drivers nor dealerships understand the capabilities and limitations of current assisted-driving systems. The solution? The researchers determined that carmakers need to take a more active role in educating consumers about what driver-assisting systems can actually do. The researchers recommend that the media and driving schools can help communicate this information. The researchers believe that trust and usage will grow when drivers begin to use self-driving technologies. One key to making that happen? 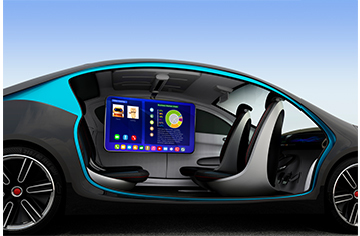 Marketing campaigns should more accurately communicate the benefits that autonomous cars offer. The study also found that drivers’ circumstances and personalities impact on their receptiveness to the new technologies. At first, car manufacturers should offer vehicles equipped with only those features that consumers value and feel they can afford. The full suite of self-driving technologies can be offered gradually later, after drivers have accepted and begin to use a smaller range of features. Learn more about what consumers want at our upcoming Driverless Cities Summit!